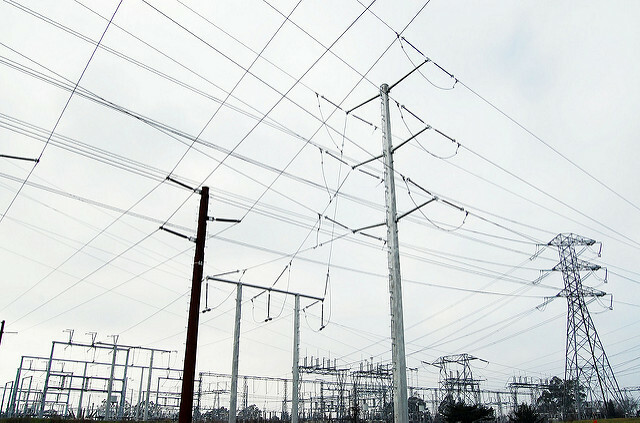 Appalachian Voices is urging North Carolina utility regulators to reject Duke Energy’s multi-billion dollar grid modernization plan. Photo by Todd Lappin, licensed under Creative Commons. If Duke Energy had its way, it would already have the green light for a plan to charge customers $7.8 billion over the next decade to make upgrades to the electric grid. Instead, the monopoly utility is hoping North Carolina regulators sign off on a compromise it reached with a narrow set of stakeholders for a $2.5 billion three-year pilot version of the plan. The deal — struck between Duke Energy subsidiary Duke Energy Carolinas, Environmental Defense Fund, Sierra Club and the North Carolina Sustainable Energy Association — only became public at the beginning of June and a decision from the N.C. Utilities Commission is expected any day. Still, the pushback from consumer advocates has been swift and continues to grow. Appalachian Voices is joining its allies in North Carolina by calling on the commission to reject the settlement as harmful to ratepayers. From a clean energy perspective, the compromise is without a doubt an improvement compared to Duke’s initial plan; it includes significant investments in battery storage and electric vehicle charging stations. And the bulk of the company’s desired plan — burying power lines — is limited in the compromise to five demonstration projects totaling $50 million. Ratepayers would still pony up for the pilot program through a new charge, known as a “rider,” on their electric bill. The rider would still result in annual rate hikes and a reliable revenue stream for Duke. But in recent weeks opponents have raised concerns relating to both the process and substance behind the proposed pilot. Our friends at Southern Environmental Law Center wrote a letter on behalf of North Carolina Justice Center, North Carolina Housing Coalition, Natural Resources Defense Council and Southern Alliance for Clean Energy urging the Commission to reject the deal. The N.C. Public Staff, an independent agency that advocates for consumers in Utilities Commission proceedings, also opposes the pilot, as does the office of the North Carolina Attorney General. Even companies like Apple and Google are entering the fray. As we’ve recently seen in Virginia, letting monopoly utilities define “grid modernization” to reflect their self-interests, and then determine how best to achieve it, is fraught with risk for the families and businesses that would suffer rising energy costs for questionable benefits. Like Duke’s proposal, those plans typically involve long investment windows and a push by utilities to weaken oversight of how billions of dollars in ratepayer money is spent. We all want a clean, modern and reliable grid. Who wouldn’t? But the complex questions of what investments are made when shouldn’t be left to utilities that are beholden to shareholders and reacting to increased competition or flat demand. With its plan for upgrading the grid, Duke Energy is intentionally putting North Carolinians in a difficult position. If the commission signs off on the pilot, Duke plans to pursue a similar agreement in the next rate case for Duke Energy Progress, its other subsidiary operating in North Carolina. If the pilot is rejected, Duke lobbyists could storm the state legislature vying for a legislative fix. The immediate solution is for the commission to pump the brakes, invite stakeholder input and grow the conversation about modernizing the grid to benefit current and future generations of North Carolinians. Fortunately, the commission laid out a process to do just that in its May ruling on Duke Energy Progress’s rate case. If Duke is left dejected, it could face an uphill battle to pass a bill going around the commission. In a recent poll commissioned by Conservatives for Clean Energy, just 10.5 percent of North Carolina voters supported the effort, while approximately half of self-identified conservatives and liberals favored increasing competition.